Morphotype A. Mitochondrial genotype Beta. Katz A, Bonifacie M, Hermoso M, Cartigny P, Calmels D. 2017. 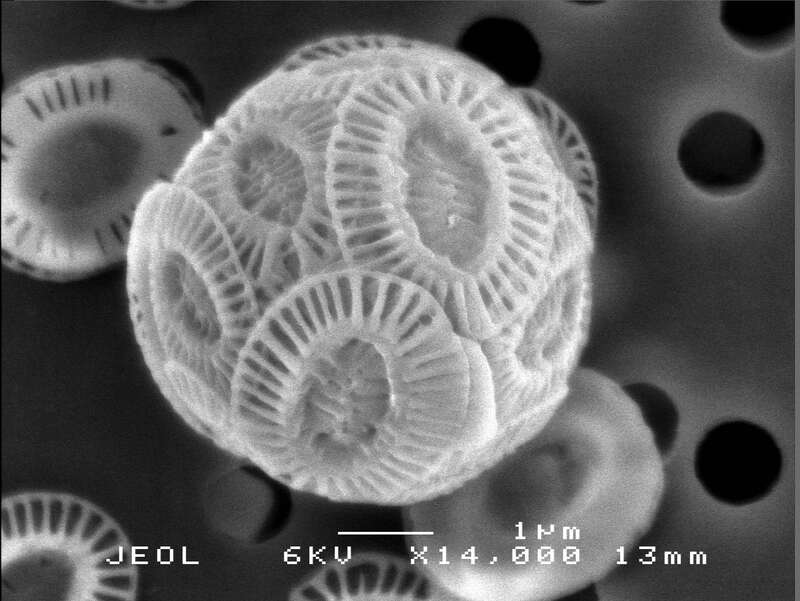 Laboratory-grown coccoliths exhibit novital effect in clumped isotope ($Δ$47) composition on a range of geologically relevant temperatures. Geochimica et Cosmochimica Acta. 208:335–353. McClelland H, Bruggeman J., Hermoso M., Rickaby REM. 2017. The origin of carbon isotope vital effects in coccolith calcite. Nature Communications. 8:1–16. McClelland H.LO, Barbarin N., Beaufort L., Hermoso M., Ferretti P., Greaves M., Rickaby R.EM. 2016. 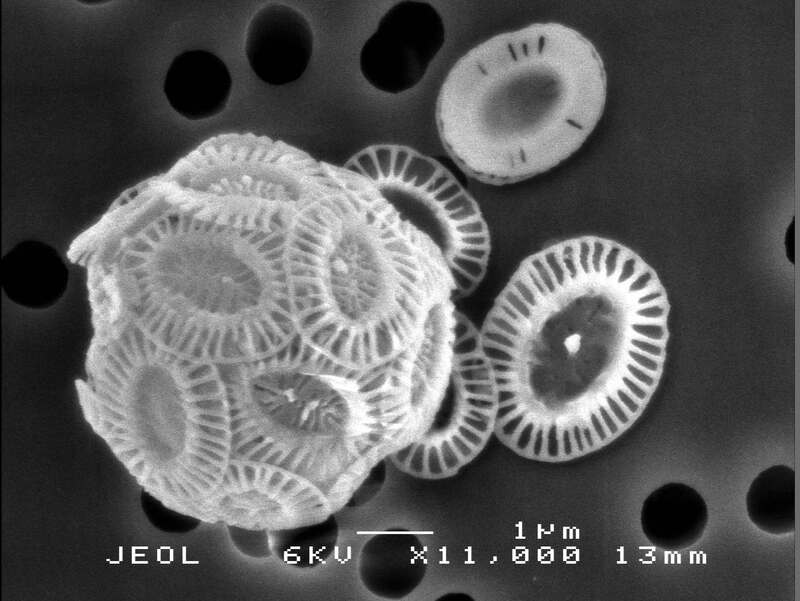 Calcification response of a key phytoplankton family to millennial-scale environmental change. Scientific Reports. 6:34263. Langer G, Probert I, Nehrke G, Ziveri P. 2011. The morphological response of Emiliania huxleyi to seawater carbonate chemistry changes: an inter-strain comparison. 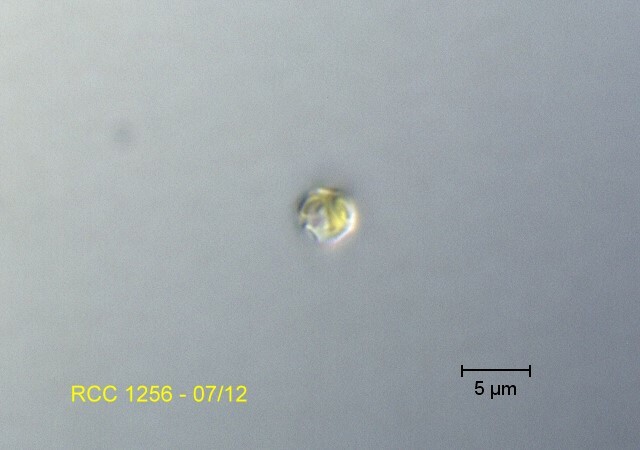 Journal of Nannoplankton Research. 32:29–34.